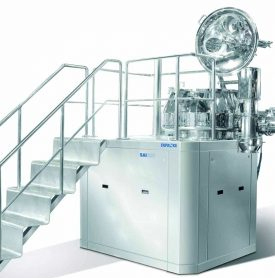 What Chemical Industry machinery are you looking for? Tapasya. The one-stop shop for your Pharmaceutical needs. Machinery for Pharmaceutical, Nutraceutical, Food, Chemical and Cosmetics Industry. From Granulation to cleaning equipment. Our Suites have it all. Propack are Pioneers in manufacturing of Processing Systems, for Biotech, Pharmaceutical, Cosmetic, Food & Beverage and Allied industries. We offer simple and efficient processing system, which provides consistent high quality products, shorter batch cycles, minimal Operating Cost, Low Space Requirements and minimum down time. Thermolab is the most trusted brand in the pharmaceutical industry with over 50 years of rich experience. Thermolab produces a variety of stability chambers, cooling cabinets, incubators and ovens; in all possible capacities for it its customers across the globe. The company is a pioneer in innovation and energy saving solutions. Snowbell machines is a well known company in India for supplying and supporting the Sterile filling lines which consist of Ampoules, vials powder, vials liquid, and PFS recognizing the compliance with local and national requirements. 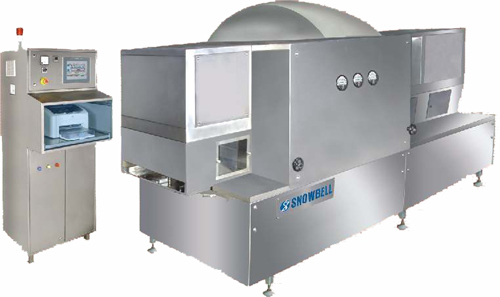 Snowbell designs and builds equipment that handles numerous sterile filling and packing processes with sterile isolators and containment isolators wherever needed. We are proud to introduce Accurate Machines as a leading manufacturer of Blister Packing Machines suitable for pharmaceutical formulations, capsules, ampoules, vials and injectables. Thermolab’s Oven provides heated conditions for curing, drying and exposures for high temperature testing with high accuracy and superior quality. Walk-In BOD (Bio-Oxygen Demand) incubators are used to maintain temperature for test tissue culture growth, storage of bacterial cultures and incubation where high degree of constant temperature accuracy is required. Thermolab BOD Incubators provide with accurate conditions and uniformity throughout the chamber. BOD Incubator (Bio-Oxygen Demand) are used to maintain temperature for test tissue culture growth, storage of bacterial cultures and incubation where high degree of constant temperature accuracy is required. Thermolab BOD Incubators provide with accurate conditions and uniformity throughout the chamber. 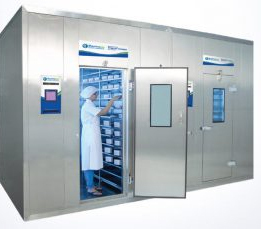 Thermolab Cooling Cabinets are of superior quality and precise control best suited for storage of reference standards, raw materials and vaccine storage. Thermolab Cooling Cabinets feature various safety feature, audio visual alarms, 21 CFR part 11 compliant software and are the preferred choice in cooling solutions. Thermolab Scientific Chambers are designed for the high requirements of stability studies and climatic tests. With stability rooms specifically developed to meet FDA/ICH stability requirements, generating control and uniformity of both temperature and humidity. Thermolab Scientific Chambers are perfectly designed for the high requirements of stability studies and climatic tests. With Stability Chambers specifically developed to meet FDA/ICH stability requirements generating exceptional control and uniformity of both temperature and humidity. Thermolab Stability Chambers feature various safety feature, audio visual alarms, 21 CFR part 11 software and a vast range of options and is the most preferred choice for stability studies. Every Thermolab Scientific Chamber repeatedly produces required conditions, structural integrity that keeps the chamber working properly through years of demanding test cycles and measuring equipment’s that precisely records all test data. Single head vial cap sealing machine for sealing aluminum cap on vials. Manual placement and removal of the individual vials with rubber bung & cap. Sealing of aluminum caps is actuated by foot operated peddle. Machine can deliver an output up to 20 containers/ minute depending on the operator’s efficiency. Available in various capacities with one-, two-, and three-head configurations with corresponding outputs of up to 40, 80, and 120 syringes/minute, automatic transfer of empty syringes from the tub to infeed chute of machine, pre-gassing and post-gassing with nitrogen gas, and precise dosing of liquid with three-piece syringe. GMP compliant construction with all product contact parts made of SS316L. Chamber construction free of cracks and with radius and rounded corners. FDA approved silicon gasketing material and hypalon gloves is used. PLC is used to communicate with the VHP generators and control uni-directional airflow speed and control isolator pressure. More From Snowbell Machines Pvt. Ltd.
Conta Blending system has replaced completely the conventional blenders such as the ‘V’ shape/double cone or ribbon type. It is a latest cGMP concept with an emphasis on the dust-free transfer of powders and granules at different stages from sizing/dispensing to compression/filing of tablets or capsules. The Roto Cone Dryer with improved technology integrates drying operation under vacuum. The Roto Cone Dryer facilitates enhanced drying efficiency, low temperature operation and economy of process by total solvent recovery. The Bin Washing System comes as a stand-alone or a completely integrated system designed to clean all sizes of IBC’s with minimum human intervention. The system is specifically designed for cleaning and drying the bins in a pre-validated manner and comes with an efficient telescopic arm enabled spray nozzle for cleaning the internals. Clean-in-place (CIP)/Wash-in-place (WIP) technology offers reliable cleaning of process equipment and piping with fully-automated technology. The CIP/WIP system is designed to achieve efficient circulation of cleaning medium such as purified water, hot water, detergent solution. Ribbon Blender is a light duty blender maily used for easy to mix powder components which are pre-processed like dried granules, pre-sieved powders etc. It is a LOW SHEAR mixer and mostly used for SOLID / SOLID Mixing. Double Cone Blender is an efficient and versatile machine for mixing of dry powders and granules homogeneously. All the contact parts are made of stainless steel. The effective volume for optimum homogeneity is between 35-70% of gross volume. The SLANT double cone design eliminates dead spots. Octagonal Blender, due to its octagonal shape is designed to process larger volume of material. It occupies less space compared to other similar blenders like ‘V’ and Double Cone. The SAIZONER Mixer Granulator is designed to meet the special needs of tablet manufacturing technology. This is achieved by reduced processing time, more homogeneous mixing, uniformity of granule size, and, above all, maintaining improved hygiene compliant to cGMP norms. Tapasya FBDs are the state of the art drying units comparable to any internationally made FBDs, with all the features available. The FBDs are built with a working pressure of 3.0 Bar at 800c. The machine has been designed ergonomically resulting in ease of operation. Viswill Visual Inspection Equipment is the heart of Visionspect’s contract visual inspection system. In use for over thirty years in Japan and the United States, this equipment has proven to be more accurate than manual inspection and provides a lower cost. A machine for manufacturing medium-size and large-size adhesive bandages using a rotary die-cutting system. A system to die-cut tape-type materials that are thinner than conventional gel patches and are now the mainstream. The PD-5 AD model is an Auger powder filling machine for pharmaceutical manufacturing. The machine applies a medical agent on the base film using an edge roll, dries the film using a drying oven, attaches the film, slits it, and winds it up. A machine for sealing four sides of plasters and gel patches. This powder filling line weighs the container before and after filling. A machine for manufacturing adhesive bandages using a rotary-type die-cutting system. A machine for manufacturing hydrocolloid adhesive dressings. 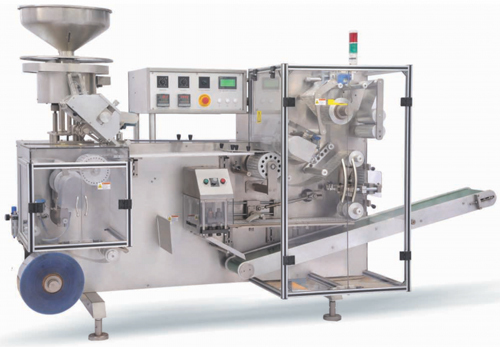 A machine for banding divided products such as four-side sealed products and blister packs. This machine to cut out containers using a parts feeder fills the containers with powder, seals the product with heat adhesion film, and inserts them into a tray. Conventional Thermo-forming(PVC/ALU) Blister packing machine suitable for Ampoules, Vials and Injectables. This machine is designed for Deep blistering and also has auto feeding for ampoules, vials etc. Each plant for the production of purified water is custom made, whether its capacity is 100 l/h or over 25 m3 /h. Every plant is designed with the customer and all the design parameters in minute details and with the same passion and dedication towards building an effective, safe and reliable system. After all each customer has a different system requirement: An SME engaging in contact manufacture has need which differs from an international conglomerate. Thus no plant is entirely like any other. ALL KOMAL PW basic systems meet EP, USP and guidelines and ensure the production process, product quality and profitability. The GMP-compliant confirms to FDA and ISPE requirements. After the purification of PW or HPW, engineering of the customer-specific storage and distribution system takes place, so product water can be delivered to each point of use in the sterile distribution system without recontamination. Here to we consider the customer's specific conditions and produce an individually engineered design. Once the PW is stored in a tank, it now needs to be distributed to each and every point of use in the factory without recontamination. Komal manufactures complete system to meet very special application for the Research lab and electronic industries. Water produced will meet the standards like CAP, ASTM, USP, NSST etc. Standard units having flowrate of 5/10/30 lit/hr. is readily available. Units are microprocessor based controlled with replaceable cartridges. KOMAL industries is a Water Treatment Plant manufacturing company dedicated to offer to our customers the finest commercial, industrial and medical Reverse Osmosis system. We are committed to provide the most innovative, technologically advanced and high quality system. Our knowledge and experience enable us to manufacture most of our parts in-house to ensure system reliability. Our meticulous quality assurance program ensures system reliability and a product that you can depend on. Water is one of the most abundant natural compounds. It is also one of the most contaminated one. A number of minerals readily dissolve in to water. They have to be removed from the raw water before it can be used for any industries application. KOMAL manufactures a Corona Discharge Ozone Generator and Ozone application Engineering Including dissolution column, air preparation unit and Ozone destruction. 'OZ1 series of Ozonator Generator operate exclusively on oxygen feed gas, Eliminating the need of Air preparation unit. For the smaller requirement of ozone 'OZ' Series Ozone Generator is very efficient, reliable and very cost - effective. KOMAL "ED" series of Electrodeionization unit employs EDI technology to produce high purity water. EDI process systems replace conventional Dl mixed bed resins unit to produce deionized water. KOMAL EDI does not require shutdowns to regenerate the resins with chemicals or replacing resins. Consistent high purity Ultrapure water having resistivity of 12-15 Mohm .cm can be produced.